Swagbucks is online survey website where you can earn real rewards through online activities such as: playing online games, taking surveys, do online shopping, watching videos, browsing Internet. You get credits for all your activities in form of swag bucks (SB) which can later be redeemed for gift cards and even cash through your PayPal account. This is one of not many websites which actually works and does pay for all the activities you do online. Swagbucks website is organized fairly well with everything broken down in to different categories. You can quickly figure out what works best for you and start earning your (SB) rewards. You can always keep track of your (SB) rewards at the top of the browser. Every time you complete a survey or buy something online it will update real time. And you can even set your daily goals to maximize your rewards and have an idea when you can be earning your next gift card or cash money. Isn't that cool? I even have 4 referrals from 2016. And this is without doing anything at all. So imagine if you really put in some work in promoting Swagbucks you can really earn some side commission. It's amazing to have a website where you can promote different programs and earn commission from multiple sources. And in this case I don't even promote Swagbucks and still earning some commissions. One of the easiest ways to earn (SB) credits is to get Swagbucks search engine installed in your browser and use it instead of Google. I don’t know how many people would agree to change Google for something else but if you end up doing that you can start earning points just for browsing internet which I think is pretty cool. 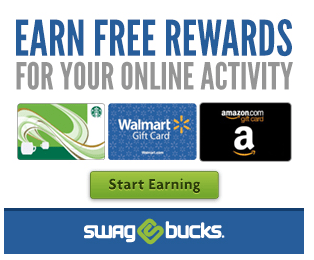 Another great way to earn (SB) credits is to do most of your online shopping through swagbucks – this is where you earn the highest points. I would say everyone should have swagbucks account which can get very useful if you already doing something online: like buying some products on Amazon, Ebay or Walmart, shopping for Auto Insurance and much more. If you focus mostly on answering surveys it will take you I would say the longest to get your points since they don’t pay that much and many times you will simply not qualify for most of the surveys. I even found it very annoying where they ask 4-5 pages of questions and then tell you that you didn’t qualify and try another survey. After all I still was able to find surveys to take and earn (SB) credits. Watching videos may sound like fun but only if you are really in to this. It doesn’t earn you much but you can just open videos on your computer and have them play continuously. Just to give you an example you will have to watch 20 videos to earn 3-4 (SB) credits – doesn’t sound like much, but on the other hand if your computer is playing them and you don’t have to do anything then it can accumulate slowly. These are not Video Games These are your favorite Solitaire card games and different puzzles which are also fun to play. They are filled with ads which all trying to sell you something. Swagbucks Affiliate Program is probably THE MOST AGGRESSIVE way to earn money. You can refer all your friends, blog on Social Networks, make your videos on YouTube and simply spread a word of mouth. You saw my results above and I didn't do anything and still earned $165. 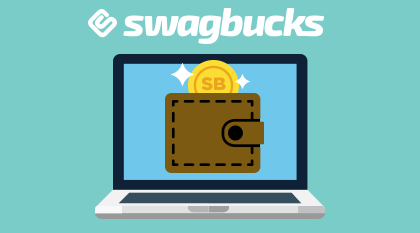 Whenever someone installs Swagbucks on their computer you earn 10% of their (SB) credits and moreover these are recurring commissions. There are examples online where people gather huge followings with 10,000 people and earn commissions from them. This can get pretty substantial. Swagbucks is also available on your IPhone and Android – you can even earn your (SB) credits while waiting for your flight in the airport. How Much Money Can You Really Make with Swagbucks? This is the ultimate question you are probably most curious about. Well, I would say anywhere from $25-$200 per month without referrals. Don’t expect to earn more than that unless you promote Swagbucks to others and earn 10% commission and hopefully your referrals actually taking online surveys. However, If you are are looking online to make extra money or potentially full time income then taking online surveys is definitely not a way to make real income that you can live off. Most people start taking surveys hoping to earn fast money, but after 1-2 months realize they simply wasted their time and were compensated very low. Swagbucks will be most useful to do online shopping, use search engine if you don’t like Google for some reason and if you promote Swagbucks to others you can earn 10% commission. For all other stuff is more of a time passer when you have nothing else to do, like you are riding in a train, sitting in the classroom for 1 hour or waiting for your flight and so on. Swagbucks has video tutorials to guide you through different categories of online activities available to you. Besides you can email them. Otherwise it’s pretty straight forward and no skills or learning is required to start earning (SB) credits today. It is Absolutely Free to Join. You are not required to buy anything in order to earn (SB) credits including their partnership program, therefore you have nothing to lose. Does Swagbucks really work? – My answer is Yes. It is a legitimate site which actually works and pays for your online activities. It is fun especially in the beginning and can get pretty addictive especially when you set your daily/weekly goals in order to earn $25 gift card. However don’t expect any huge earnings as it’s unlikely to happen it is more of a time passer rather than real earning potential. You can however earn higher income if you have Social Media following or a website like mine where you can write about Swagbucks or if you simply make YouTube videos promoting them.